The ubiquitous nature of secure mobile devices means that virtually everyone who wants to can have instant access to social media. Social media are being used to keep in contact with family and friends, find information as needed, organize social movements, meet up with new people, and for the purposes of this article, communicate and negotiate with businesses. Location-based social media are just starting to be used, but are already making profound changes in how people make choices in restaurants, stores, or even house purchases, among other consumer decisions. Customers can easily chat with each other about positive and/or negative experiences with a specific business, and write reviews that others can access through social media. Because of this, companies need to learn about and understand the implications of social media and mobile for their businesses, especially as messages can “go viral” and spread far and wide. Through social media and computer networking, mobile learning can foster a sense of community and collaboration among both employees and customers, leading to a more positive organizational culture, higher levels of productivity, and improved customer loyalty. By being in touch with fellow employees or knowledgeable people outside the usual place of work, information can be shared and learning content can be generated by a “community of practice” and made available to others. This allows learners to form and curate their own personal learning network: a powerful tool that supports the move to “just in time, just enough and just for me” learning. More than 1 billion people in the world use Facebook, and Twitter is the fastest growing social media platform in the world, with 485 million accounts and 288 million monthly active users (PDF). In this blog post, I examine how four industries are currently or could be using social media for their industry: finance and insurance, retail, agriculture, and healthcare. The North American financial sector has just begun to embrace the new realities of mobile technology: not just a changing marketplace, but innovative technologies that may completely alter longstanding systems of banking, insurance, loans, and investment. With the proper software tools, customers can perform transactions immediately: they can transfer money, make loans, cash checks, buy insurance or investments, and even make “cash” purchases directly through their devices. Both customers and finance firm employees can use these devices as a means of education and information-gathering. Producing these tools is a matter of competitive necessity. An even more profound change is the fact that finance and insurance firms can communicate directly with their customers through social media, and that customers can easily chat with each other about the positive and/or negative experiences that they have had with their financial institutions. 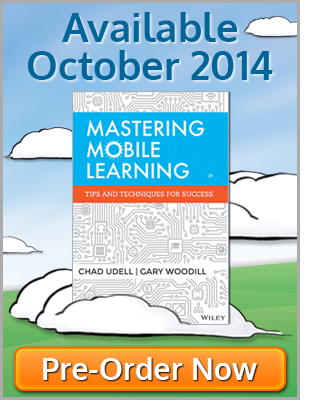 Today’s mobile consumer is educated and informed the consumer. The ability to use their mobile devices to connect to the web, along with new uses of GPS, cameras and barcode readers, allows customers to locate goods and services, and do comparative shopping on the move, and get information, opinions, and reviews when desired. The ubiquity and usefulness of mobile devices while shopping is forcing retailers to adapt to this new mobile reality, or lose customers to competitors. By signing customers up to a social media network, retailers can serve customer needs by sending out product warnings and alerts, use barcodes to give more information about a product a customer is looking at, and tailor sales messages to customers’ preferences and past buying behavior. And, as a bonus, retailers can also use mobile devices for training their employees and offer them immediate performance support, even while interacting with customers. Retailers can also now communicate directly with their customers through social media, and customers can easily chat with each other about the positive and/or negative experiences they have had with their shopping experiences. Today, food producers and consumers are linked as never before. Through social media on mobile devices, food producers can connect with each other, and with their customers even while they are out in the fields working. For many people in the agriculture industry, this means the end to the relative isolation of working by themselves or with only a few other people as social networks blossom, and people in this important industry share information, techniques, and experiences using social media such as Facebook, Twitter, and LinkedIn. Using mobile computing in agriculture (also known as mAgriculture) is very new in North America, although mobile agriculture in the developing world has been known and written about for almost a decade. In many countries, social networks for food producers have been set up and are being well used. This phenomenon is just taking off in North America. Besides food producers connecting with each other as a community, consumers are also linking up with each other, and are demanding more information about the food they are purchasing from local, regional and international suppliers. Consumer applications of mobile media are more than just another channel to deliver advertising or offer a product or service. They have the potential to completely change relationships in the marketplace, as consumers compare notes with each other on social media, and demand to know more about their food and where it comes from than any other period in history. Being connected with other human beings is critical for fostering good health. One of the newest ways that can be accomplished is through the use of social media, which allow patients to connect with healthcare professionals, and to connect with other patients with similar medical conditions. Information overload makes mobile apps and social media a godsend for clinical practice. Apps can assist performance and decision-making by providing information based on patient variables. Social search can be used to acquire or refresh knowledge while preparing for or performing medical tasks, making the process faster, more efficient, and less prone to error or omission. At the same time, social support systems, such as PatientsLikeMe.com are helping tens of thousands of patients receive support and advice from their peers, as well as afford the opportunity of giving information and aid to others. Working on the idea of maintaining health as opposed to treating sickness, social media are also useful in assisting people to maintain their ongoing health needs and objectives, such as weight maintenance, exercise, or dealing with specific medical issues. Social media are a boon to patients who are isolated at home or in hospital, often helping them to help themselves or to just feel better. 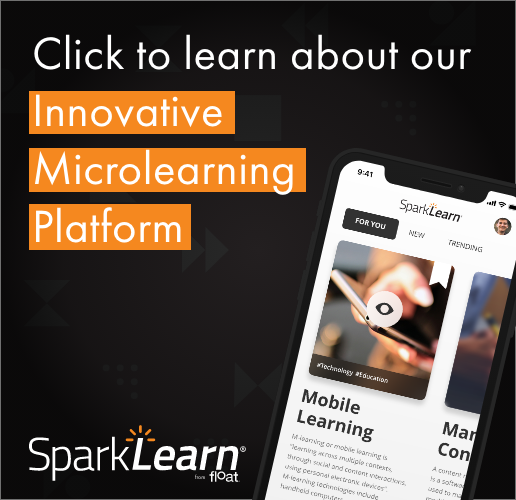 If you need more information on how we can help you with implementing mobile and social learning, please feel free to contact us.